A week after weighing in on the recent debate about accessibility in video games, God of War director Cory Barlog has said that while he “applauds” FromSoftware for creating “great things,” the gaming industry and community shouldn’t “shy away” from discussing accessibility just because people conflate two separate issues. Barlog was talking to a fan in reference to a Games Industry article that clarified the difference between “easy modes” and accessibility options, stating that the latter has nothing to do with making a game “easy.” The latest debate was sparked by Sekiro: Shadows Die Twice‘s lack of accessibility options, and became complicated when the terms “easy mode” and “accessibility options” were used interchangeably by a portion of the community. Barlog clarified that he wasn’t interested in the discussion about adding easy modes to video games. 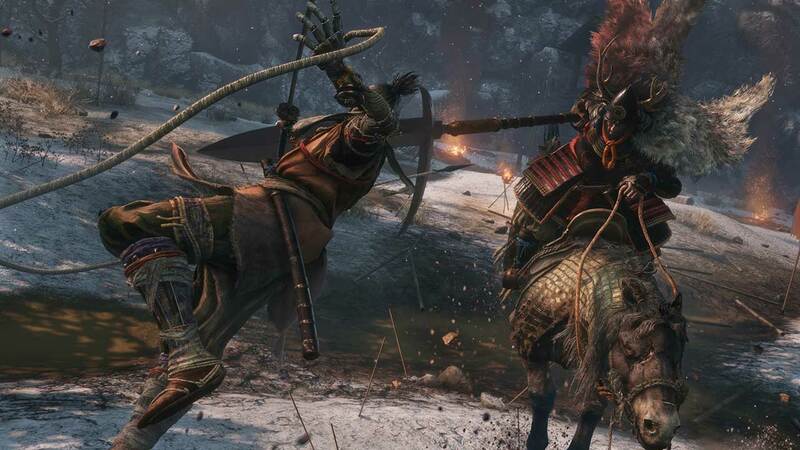 Barlog’s tweets came in response to players who argued that adding accessibility options to Sekiro: Shadows Die Twice would be against FromSoftware’s vision. The veteran developer argued that one’s vision is “not a reason for not offering accessibility options,” and that “there were things we just could not support due to time and bandwidth” in the past. “To me, accessibility does not exist in contradistinction to anyone’s creative vision but rather it is an essential aspect of any experience you wish to be enjoyed by the greatest number of humans possible,” added Barlog. A number of developers have supported Barlog’s statements but the debate continues to polarize the community. Share your thoughts on the topic with us below.